Work can often be frustrating. On the job we frequently face conflicts, difficult personalities, disappointing results—a variety of challenges and obstacles. In this unique book Michael Carroll, a Buddhist meditation teacher and a corporate executive, shares Buddhist wisdom on how to transform the common hassles and anxieties of life in the workplace into valuable opportunities for personal growth, heightened wisdom, and enhanced effectiveness. Carroll shows us how life on the job—no matter what kind of work we do—can become one of the most engaging and fulfilling areas of our lives. 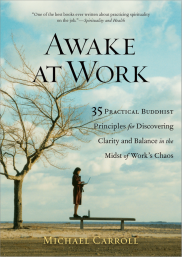 At its heart, Awake at Work offers thirty-five principles for developing a new way of relating to work that is characterized by honesty, openness, courage, maturity, and endless learning. By contemplating these principles on a regular basis in the context of our daily work lives, we can begin to explore and overturn the misconceptions and mental habits that keep many of us in a state of constant frustration and dissatisfaction on the job. Carroll invites readers to contemplate these slogans and to use them on-the-spot, in the midst of work's chaos, to develop clarity, wisdom, and inspiration. 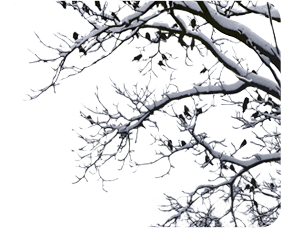 Along the way, Carroll presents a variety of techniques and insights to help us "acknowledge work, with all its complications, as a valuable invitation to fully live our lives." In an engaging, accessible, and often humorous style, Awake at Work offers readers a path to rediscovering a natural sense of intelligence, confidence, and delight on the job.